The impact of low oil prices is causing many vehicle factories in the United States to switch from sedans to trucks as demand slows for sedan models like the Mustang and dealers struggle to clear inventories. There is growing demand, however for SUVs and pickup trucks. Leading manufacturers like Ford and General Motors are idling production at plants where sedans are produced while ramping up production at plants specializing in bigger models that need more fuel. For example, General Motors has said that it will be recruiting 650 hourly workers for its factory in Springhill, Tennessee that makes the Cadillac XT5 and the GMC Acadia and the Cadillac XT5, both of which are midsize SUVs. 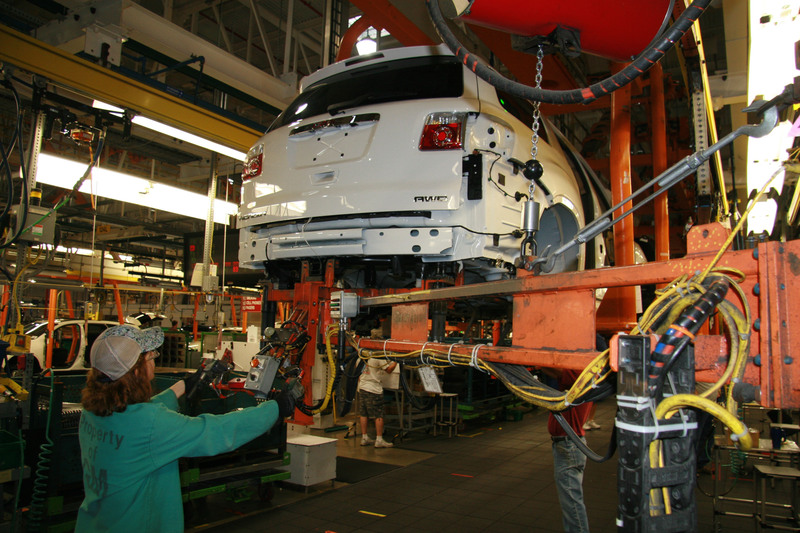 Meanwhile, Ford suspended production at a factory to prevent inventories at dealer lots from piling up. Mustang sales plunged by 32% in September. The effect of the shift in focus among manufacturers has percolated down to auto-parts suppliers also. For example, Faurecia SA said that it will be permanently closing two factories in the suburbs of Detroit which used to make seats and other components for the Chrysler 200 sedan, which FCA phasing out due to poor sales. Faurecia will be laying off 348 people at three factories which make car parts. Due to the emphasis on fuel efficiency and high oil prices consumers were increasingly opting for smaller, more fuel-efficient vehicles like sedans and hybrids. Now, due to the slump in oil prices, demand has swung in the in the opposite direction with sales of light trucks, which include SUVs and pickups, now accounting for about 60% of total vehicle sales in the U.S. market.